Anyone contemplating retirement should seek the advice of an objective adviser. Your CPA, attorney, or fiduciary financial adviser will help you determine the optimum time to take social security and other vital decisions. If you can try to work as long as you can. It does not have to be full time, however this will allow your savings to last longer. Most importantly this should be a lesson to younger employees to begin saving for retirement as eraly as possible. The analysis looked at both income and age. As you might expect, projections for the lowest pre-retirement income quartile are the most sobering. This group would need to defer retirement to age 84 before 90 percent of them would have even a 50 percent probability of achieving comparable pre-retirement living standards. The results improve with income levels, but even among those in the highest income quartile, 90 percent have only a 50 percent chance of having enough to retire by 70. When broken out by age, the news isn’t much better: For one-third of households in which the people were between ages 30 and 59 as of 2007, working until age 70 won’t provide adequate income in retirement. All this aside, buried in the report is a glimmer of hope — working longer does help. While only about half of households age 50-59 in 2007 could retire at 65, the number increases to nearly two-thirds if retirement age is increased to 70. Those extra five years have a dual effect. Not only do workers save more, they also delay dipping into their retirement funds, allowing those funds to continue growing. In the past, I have extolled some of the non-financial benefits of working longer, namely the continued social interaction and intellectual engagement. 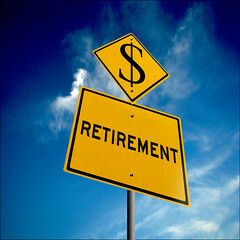 A previous EBRI report confirmed that 92 percent of those who worked beyond the traditional retirement age of 65 do so because they want “to stay active and involved,” and 86 percent say they “enjoyed working.” The problem is that there are some real risks associated with relying on the “work longer” retirement plan, the most significant being: What if you lose your job? If you need more evidence that you need to start saving for retirement now I’m not sure what to say. You are accountable for your financial future. Please comment or call to discuss. Raise the retirement age to 70? Have we given up on retirement saving? Will You Be Able To Retire At 67? This is easier said than done. Many Americans will be unable to work into their 70’s because of the physical demands. Saving for retirement is not an option for many in order to avoid living in poverty. “It is so tough for Americans to save for retirement that the answer seems to be to work longer,” said Joe Ready, director of Wells Fargo Institutional Retirement and Trust.Overall, 70% of respondents plan to work during retirement, many of whom plan to do so because they simply won’t be able to afford to retire full time. But working well into your 70’s, 80’s or even 90’s, isn’t always realistic, said Ready. Nearly three-quarters of those who plan to work into their 80’s say their employer won’t want them working when they’re that old, for example. Other roadblocks, like health issues, could arise as well. Those who are unable to work as long as they intend could therefore face a very grim reality. In fact, more than one-third of Americans could wind up living at or near poverty in retirement, the survey found. Saving for retirement must not be an option. What will you do for work when you are 75? Please comment or call to discuss your retirement savings strategy. Without a disciplined savings strategy there is no need for a globally diversified portfolio and the discipline to stay on track. The easiest way to save for retirement is to start early and make it automatic. You should pay yourself first each month. Seek help if you cannot stay disciplined to your saving strategy. For an utterly hassle-free way to bolster your savings, arrange for your bank to automatically divert a predetermined dollar amount from each of your paychecks into a savings account (or a few savings accounts). You’ll be surprised how quickly funds add up, and since it’s an automated process you needn’t lift a finger. For example, if you get paid twice a month and you have your bank automatically deposit $100 from each paycheck into your savings, in a year’s time you’ll have saved $2,400 — and that’s before accounting for any interest you may have accrued. Instead of pulling out that well-worn debit card whenever you get the urge, withdraw a small amount of cash to pay for your weekly incidentals. These will vary from person to person and even from week to week, but might include things like a morning coffee, lunches or dinners out, treats and impulse buys. Stick to your guns — once your “allowance” is gone, it’s gone until next week. If you can see the financial impact of these purchases, you’re less likely to spend your hard-earned money. Having a disciplined saving strategy is more important than any investment strategy. Most younger investors believe its the investments you choose is the reason for reaching a successful Financial goal. The real reason is having a disciplined savings strategy. Your investments should be globally diversified at your risk level and remain disciplined to that strategy. Bruno conceded that young people face many competing savings goals such as buying a house, paying for a wedding or their children’s college education, but said retirement saving should still be factored into a financial plan. Many things can be paid with loans, but retirement cannot, which is why retirement saving must be a priority. A post-graduate with student loans should still contribute to a retirement plan, she stated. This is not to say student loan debt should be neglected, but a plan should be in place to pay off debt while simultaneously saving for retirement. “You don’t want to necessarily shift away from retirement just to pay off student loans,” Bruno said. Young investors might be hesitant to invest because of market performance in recent years. “Their short investment horizon has been marked by some volatility,” she noted, but emphasized that this is typical throughout history. Young investors should not focus on market volatility because they are being exposed to it early and can still bounce back. Worrying too much about volatility can cause young investors to avoid market risk and expose themselves to inflation, she cautioned. Bruno added that young investors should not try to time the market and chase performance. Studies show that investors who attempt this have lower performance than those who pick an asset allocation and stick with it. Portfolios should be broadly diversified with both U.S. and non-U.S. stocks, she suggested. The sooner you start saving for retirement the easier it will be to reach your goals. History shows that the market volatility we have been experiencing is not unusual. To succeed you will need a prudent strategy and discipline to stay the course. If you’re a working American born anytime between 1946 and 1991, the research, analysis and more importantly, the five straightforward actions you can take now to ensure your retirement income doesn’t take a dive revealed in the Fidelity Investments‘ “Retirement Savings Assessment” might be of particular interest to you. The first-of-its-kind analysis by Fidelity Investments, a financial services provider with a focus on helping Americans save and plan for retirement, found that many working American households could face a 28-percent loss of income during retirement. Perhaps even more frightening is the 38 percent of retiree households already reporting that their monthly income isn’t enough to cover their monthly expenses. In addition to these sobering statistics, however, Fidelity also provided a number of actionable steps individuals could take in order to narrow or entirely close a potentially uncomfortable gap between their retirement income and their monthly living expenses. Whether you’re a working member of the Baby Boomer generation, Generation X or even Gen Y, these are five steps you can begin exploring with your advisor today, and perhaps even incorporate into your retirement plan. They’re well worth checking out, as many of these strategies can apply regardless of whether you’re just getting started in your career, are at the top of your of your working years, or are already retired. While respondents indicated that they did save an average of $3,500 last year, most Americans are not taking full advantage of tax-favorable workplace-sponsored retirement savings plans or individual retirement accounts (IRAs). This is perhaps the easiest place to begin plugging the holes in your savings plan, so consider contributing as much as you can to your employer’s 401(k) plan. If your employer matches your contribution, try to put away as much as your company will match to; doing anything less is akin to turning down free money. Matching contributions are not the only reason why 401(k)s or IRAs are wise investments, however; for example, if your company doesn’t offer to match your 401(k) contribution, you still profit from tax-deferred savings. The same is true of IRAs, so if your employer doesn’t offer a retirement contribution plan, funding an IRA is an effective alternative. If both courses of action are available to you, talk to an advisor about which plan — or combination thereof — is most appropriate to meet your needs and goals. While maintaining a savings strategy is imperative for investors of all ages, it’s particularly crucial for younger workers, as their money will have more time and opportunity to grow. It seems as though despite one’s age, the average age at which most Americans plan to retire is the ever-popular 65. However, as the Boomers are discovering (indeed, the Fidelity research found that many Boomers are facing a worrisome drop in income), putting off full retirement by a few years can help shore up assets to ensure you don’t suffer a decline in their income and standard of living. What’s more, Fidelity also cited that even working part time after age 65 can be a powerful way to stretch your retirement assets. While it’s certainly understandable that investors of all ages may be a little skittish when it comes to the stock market these days, the Fidelity Assessment found that 21 percent of survey respondents are invested too conservatively in the equities market with what the report describes as “limited exposure to stocks, based on their current age and planned retirement date.” This underscores the importance of working with an advisor to ensure your plan is properly allocated with the right amount of exposure to the long-term earnings opportunities only stocks present. Investors of all ages could benefit from having a guaranteed stream of income for life, yet the study found that only 17 percent of those surveyed have an annuity. Working with an advisor to explore adding an annuity to your retirement plan can ensure you have enough money to cover your expenses throughout your retirement, especially as more and more Americans can expect to live well into their 80s and even beyond. At 72 percent, the tremendous majority of respondents are homeowners, and a full 32 percent own their homes outright and pay no mortgage. The home equity you may have accrued can be used in a number of ways to help stabilize your retirement income, including downsizing your home and pocketing the profits, drawing on that equity to pay off debt or expenses, or using those funds to invest in income generating products. Indeed, anything you can do to improve your financial position in retirement is worth exploring, so discuss these five strategies with your advisor. Together, you should be able to determine the most appropriate steps you can take in order to ensure a positive retirement lifestyle. No two individuals have the same financial woes. Not only do financial situations vary in income, debt, spending and saving habits, but they also vary in the perspectives of those individuals and how they rank their specific money problems. After researching a few polls on the most popular money problems, we’ve created a list of what financial issues most individuals worry about the most and what you can do about it. I spend too much. Without a doubt, the most worrisome financial problem people dwell over is the act of spending too much money, but why? While credit cards play a big factor in their ease and accessibility of use, scientists have actually proven that spending money makes us happy. Surprise? Probably not. Much like chocolate cake or kissing a loved one, the idea of spending money can release a feel-good chemical in our brains called dopamine. Overspending can also stem from poor planning or lack of time. So, how do you stop spending? It’s not easy but doing things like changing your daily habits, only having one credit card and using more cash, unsubscribing from catalogs and finding other inexpensive ways to be happy will help you curb your spending problems. I save too little. You’re not alone! According to the U.S. Department of Commerce, the average American household saves 0.4 percent of its disposable income, down from 2.4 percent in 1999. Some blame low interest rates; if you’re making very little in your savings account you have less incentive save. Others blame spending too much. It’s obvious – when you spend too much you can’t save what you should. One nice way to make yourself save is to detail out a clear goal. Additionally, you can set up automatic deductions from your paycheck, open a 401(k), and start an immediate savings account. Gas prices are absurd. Energy prices, in general, are on the rise, but gas prices specifically are up one-third in the past year. And with our economy depending heavily on other world markets, it is clear that gas prices are not going to drop any time soon. There are several alternatives to driving, like taking metro transit, walking, biking and carpooling. But if you must drive, check out the cheapest gas prices online, remove heavy junk from your car, and be sure to check the oil, air filter and tire pressure on a regular basis. If you can, investing in energy efficient will save you money in the long run. I’m not sure how much to save for retirement. The standard number for your retirement planning is 15% of your income each year. However, each person’s financial picture is different, and there are many variables that need to be factored in. You can either contact a retirement specialist, or check out the countless online calculators that will do the math for you. Some tips for retirement planning include 401(k)’s, IRA’s, pension plans, investments and annuities. I need a budget. Are you constantly finding yourself out of cash? Is your monthly cash cycle consistently inconsistent? A budget is simply a plan on how to appropriately spend your money. In order for it to work, though, you must realistic and stick to your plan. Budgets are relatively easy to calculate. Simply sit down and create a map of your monthly spending and saving habits. Follow it accordingly and revisit it at the end of the month to determine what’s worked and what hasn’t. Another tip is to sign up for an online money-tracking program. You can even link your bank accounts and bills for deductions itemizations. I need a financial plan. Wait, didn’t we just talk about budgets? A financial plan is much broader than a budget. It’s a track to help you achieve those big things in life, like a house, vacation home or your child’s education. It encompasses your savings, investments and even your insurance. Creating a financial plan is much more complex than creating a budget. Do some research and hire a financial planner. The peace of mind in knowing your financial future is secure and protected is worth the time and effort in hiring and educator to coach you through your big life decisions. No, budgets are not attractive, fun or exciting in any way shape or form. They are, however, the necessary evil that can assist in getting you and your family’s spending and saving habits back on track. It’s difficult to understand why more individuals don’t already adhere to a budget, what with the economic crisis and unemployment still looming above us. It would seem that the majority of individuals without a budget either don’t think they need one, are unaware of its benefits, or simply don’t like discussing or even thinking about their financial situation. The unfortunate part about that last point is the fact that implementing a personal or family budget can help dig those individuals out of the financial holes they’ve already put themselves in. And the best part? It’s ridiculously easy to do. From writing everything down on your own to downloading or purchasing budget software, technology has made it extremely simple to execute. The first step in creating a budget (and all these tips go for individuals to families alike) is gathering every financial statement you can find. Examples include bank statements, credit card statements, investment accounts, utility bills, and income information. The idea is to gather any piece of information regarding an expense or income for you or your family in order to process the information into a monthly average. Record all your sources of income – any type of cash flow that’s coming to you needs to be recorded. Next, create a list of monthly expenses. Examples include the mortgage payment, car payments, auto insurance, groceries, utilities, entertainment, dry cleaning, auto insurance, retirement or college savings – essentially everything you spend money on (even that daily latte from Starbucks!). After you’ve created your list of expenses, you’ll want to break it up into two different categories – fixed and variable. Fixed expenses are those that stay relatively the same each month and are essential parts of your way of living. Examples of fixed expenses include your mortgage or rent, car payments, cable and/or internet service, trash pickup, credit card payments and so on. For the most part, these expenses are essential yet not likely to change in the budget. Variable expenses are those that will change from month to month and include items such as groceries, gasoline, entertainment, eating out and gifts, for example. This category will be important when making adjustments. The last steps include totaling both lists of expenses and income. This is where you’ll need to make adjustments and determine what types of changes you’ll want to make to your spending and saving. If your end result shows that your income outweighs your expenses, you can start prioritizing the excess to areas of your budget such as retirement savings or paying more on credit cards to eliminate that debt faster. If you are in a situation where expenses are higher than income you should look at your variable expenses to find areas to cut. Since these expenses are typically adjustable, it should be easy to shave a few dollars in a few areas to bring you closer to your income. Once you’ve made your adjustments and have a reasonable budget to stick to, make sure you review it regularly to determine whether you are staying on track and all your numbers are up-to-date. Track your spending to make sure it stays within your guidelines. Use software to save grief – personal finance programs have built-in budget-making tools that can create your budget for you. Don’t drive yourself crazy, or stop buying groceries! Monitoring your spending can sometimes lead to overly-attentive detail – don’t go overboard. Monitor your cash flow – it’s much more difficult to track where your cash is going, so keep those ATM receipts and watch your cash flow with more scrutiny. Beware of expenses that may seem fixed – do you really need that $50 bottle of wine? Aim to save at least 10% of your income for your future, such as investments and retirement planning. Budgets aren’t easy to create, let alone stick to, but they are essential in getting a grip on your financial situation. Looking over this list of tips, I’m sure you’re thinking, “okay, easy enough.” But it’s not. It takes time, effort and active dedication to continually be aware of your saving and spending habits. The best part? You won’t regret it; it is guaranteed to pay off in the end. Think of your personal budget like your map and journey to financial peace of mind. The secret to proper retirement planning is to start as early as possible. Just like you mortgage the longer the time to save the less per month you have to save. You are the one who must decide how you want to live after you are no longer able to work. — Inflation assumption: 4.5 percent (higher than where we are today, but most economists believe that inflation is headed up in the coming years).– Rate of investment return both before and after retirement: Consider your risk tolerance and err on the side of being conservative. If you’re stuck, use 4-5 percent. Obviously, if you use a higher rate of return, the calculator will ultimately determine that you have to save a smaller amount. After our Great Recessionand financial crash, I probably don’t have to tell you that higher return assumptions may not always work out as planned.– Life Expectancy — if you are younger than 50, use 95; if you’re older than 50, use 90. If you want a closer estimate, go to www.livingto100.com and use their Life Expectancy Calculator. Saving for retirement is just the opposite of paying your mortgage, The longer the mortgage the lower the payment, obvious right? 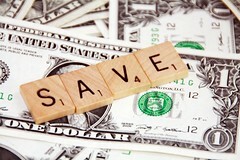 When saving for retirement the longer the savings time the lower the required savings rate. Many saving for retirement delay the start of their savings plan and then try to make up for it by taking additional risk. It might work but it’s doubtful. Please comment or call to discuss how this affects you and your employees.